When Vicky Cruz wakes up in the Lakeview Hospital Mental Disorders ward, she knows one thing: She can't even commit suicide right. But there she meets Mona, the live wire; Gabriel, the saint; E.M., always angry; and Dr. Desai, a quiet force. With stories and honesty, kindness and hard work, they push her to reconsider her life before Lakeview, and offer her an acceptance she's never had. But Vicky's newfound peace is as fragile as the roses that grow around the hospital. And when a crisis forces the group to split up, sending Vick back to the life that drove her to suicide, she must try to find her own courage and strength. She may not have them. She doesn't know. 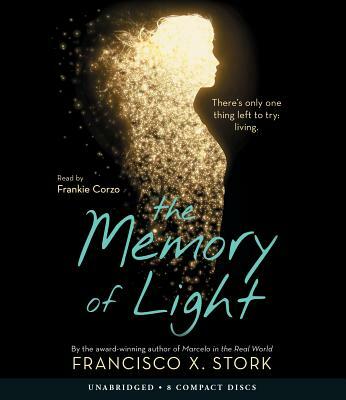 Inspired in part by the author's own experience with depression, The Memory of Light is the rare young adult novel that focuses not on the events leading up to a suicide attempt, but the recovery from one -- about living when life doesn't seem worth it, and how we go on anyway.